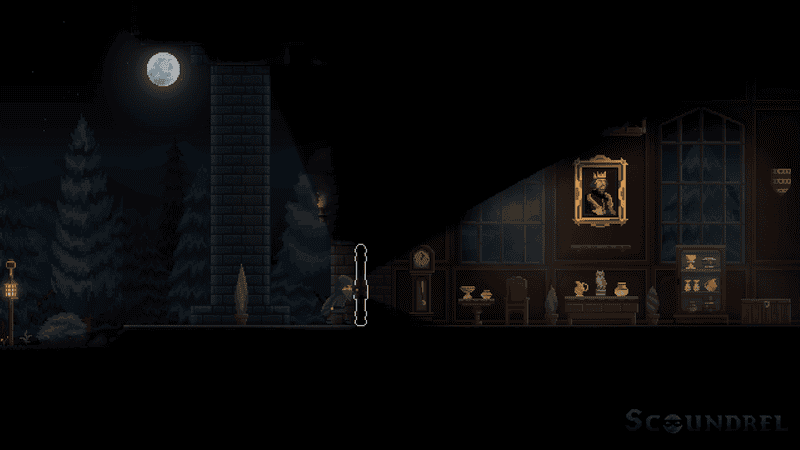 Scoundrel is a side-scrolling roguelite mashed up with Thief-style skulduggery. Scoundrel is a side-scrolling roguelite mashed up with Thief-style skulduggery. It’s a “pure stealth” game in which you lighten showy Lords’ too-heavy pockets while avoiding guards, traps, and civilians. There are classes and character progression, but if you die, it’s back to square one. It’ll be out on PC this year.